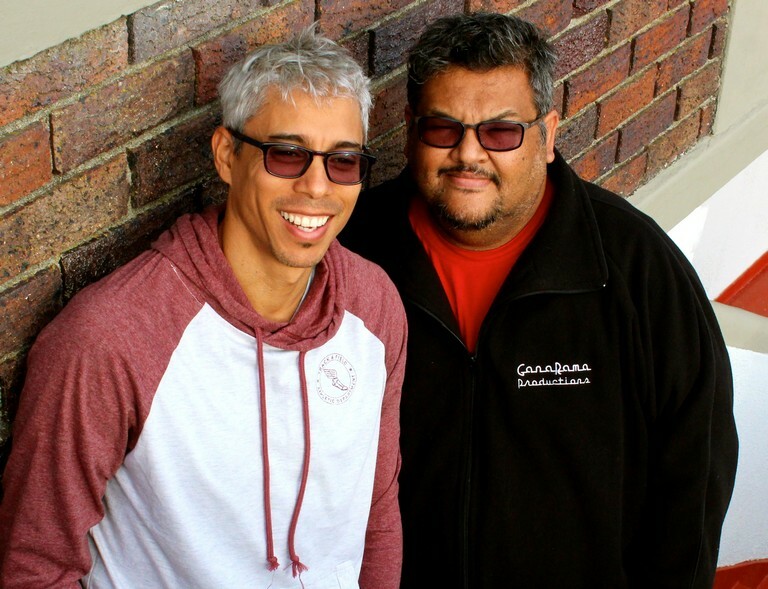 Having known Gary Naidoo and Rafiek Mammon for years, I have always been aware of the trials and tribulations involved in being a freelance theatremaker. The boots of their cars are almost always filled to the brim with the accoutrements of their craft – costumes; props; boxes of reading materials to be handed out – never truly emptied, because they are almost always at the ready to hit the road for whatever job comes their way. To hear them talk about the graft behind their craft, there is a whole lot of hustle involved; but none of it matters if you don’t have that passion for entertaining others; an almost obsessive love of theatre; and especially in Naidoo and Mammon’s case, a devotion to cultivating new theatregoers. This dedication to cultivating new audiences sits especially near and dear to the duo’s heart. Naidoo sites their constant exposure to and participation in theatre festivals as one of the reasons they are so gung ho about the prospective theatre lover. “Festivals are a real hub of enthusiasm; where word of mouth truly is the thing that gets the buzz going, which is always an important lesson to us. It reminds one that the theatregoing experience is still very much an organic thing, despite some people’s preoccupation with social media as an advertising tool,” he mentions. “The festivals are the driver for changing the way people get introduced to and end up becoming long-time theatregoers,” adds Naidoo. The duo’s work will be on show again this weekend at Cape Town’s very own mini arts festival, the annual Suidoosterfees. “The Suidoosterfees turns 15 this year so we decided to do an SA songbook our way. We’re calling it ‘15 van die bestes/15 of the Best: A Focus on SA Music’,” explains Mammon. Apart from simply ensuring people have a good time this weekend, Naidoo and Mammon have another aim, which ties right back to their core concern of audience development. “The hope is always that those people who might come with the explicit intent of seeing our show will also be enticed to see something else; maybe even something outside of their comfort zones, and end up loving it and end up staying the entire day at the Suidoosterfees, perhaps even come back for a second day, and voila – you have a new theatre lover,” laughs Naidoo. * ‘15 Of The Best’ is in the Artscape Opera House at 4.30pm on Sunday. Book for Suidoosterfees shows at Computicket.